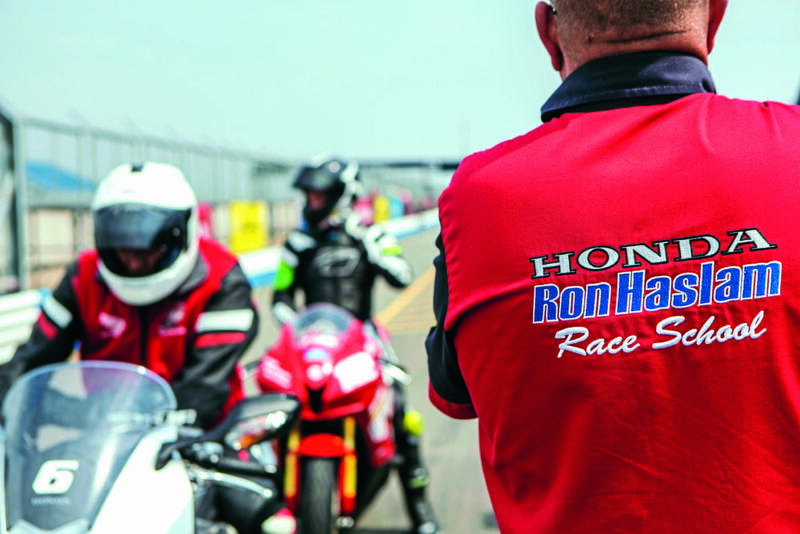 I can’t think of many places as well equipped to turn someone from a sluggish Sunday rider into a knee-scraping track-missile than the Ron Haslam Race School. 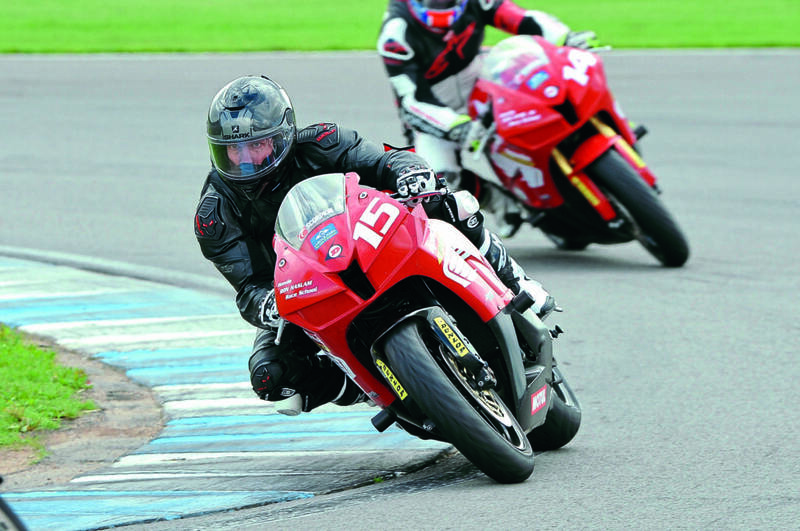 The school is based at Donington Park Circuit, one of the finest tracks in the UK, and it doesn’t use the Haslam name in vain – the man himself is very much present at the school, riding with the learners. 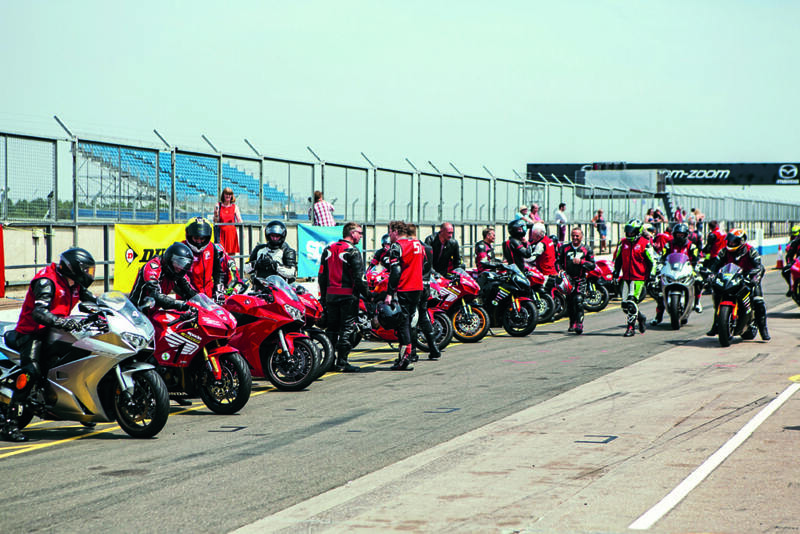 You can often spot other racers at the school too, such as Ron’s son and British Superbike Championship rider Leon Haslam. There are three different types of half-day courses, or ‘experiences’, to choose from: On-Track, Premier and Elite. Regardless of which one you choose, the day starts with registration and getting your kit sorted. The great thing about the race school is that you can just show up in your normal clothes as the hire of all the riding kit is included in the price. You can, of course, use your own leathers, helmet and so on, but the option is there. The Honda-sponsored school also provides the bikes for all courses. Having already done the On-Track Experience (which combines track riding and bike control exercises), I opted for the Premier Experience, which is more intensive, and includes more track time. It’s done on the lovely Honda CBR600RRs. The day starts with a briefing, after which the riders move onto the track for three riding sessions. There’s one track coach for every two learners, so it’s easy to get feedback and advice. 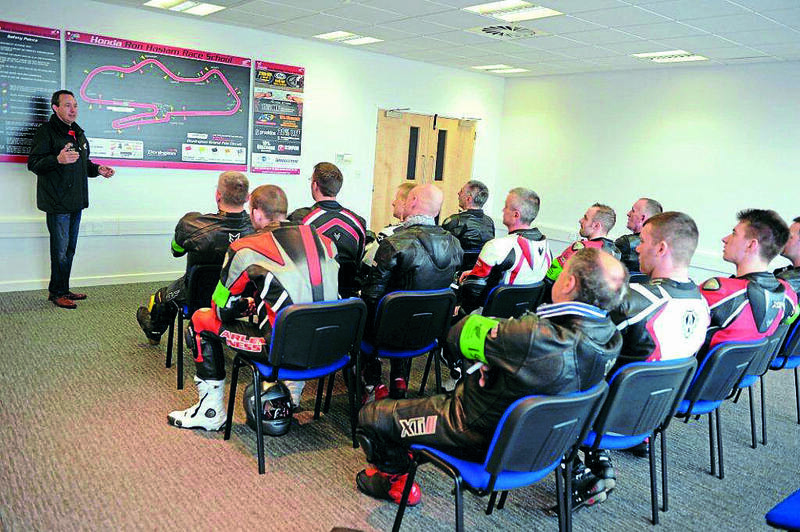 In between the riding sessions, the coaches advise on how to improve your riding from throttle control to body position and gear changes to race lines. The day ends with a final debrief and a certificate. 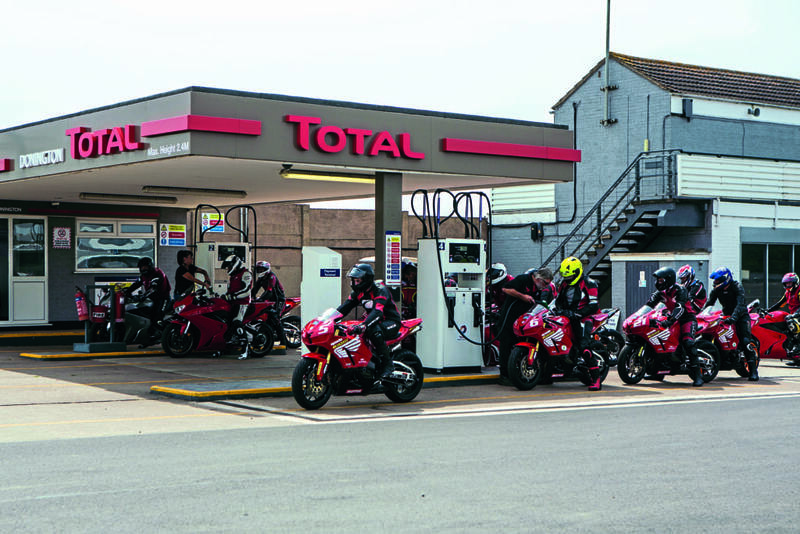 Once I got signed in and kitted up (they even have waterproofs for rainy days), I had a moment to spare and had a cup of coffee and tried to mentally adjust to going quite fast, on a fiery sportsbike. Everyone who was heading off the track had big smiles on their faces so it can’t have been too bad. From the classroom it was just a short walk to the paddocks, where we got paired with our riding partners and track coaches. I was paired up with another learner who was roughly the same ability as me based on our responses to the questions about riding experience that we were asked when we booked the course. Our coach, Matt, quickly talked us through what we had in store for the rest of the day, which was pretty much as expected: three sessions, starting nice and steady, and building the speed up as we improved our riding technique. “Treat the first few laps as sighting laps. Let’s take it easy to begin with,” was the message. That sounded good to me. I had no desire to go sliding off the track after over-stretching my limited abilities. Session two helped to further build up the confidence – and therefore the speed. In fact, our speeds were building up nicely as we got more comfortable with the track, the bikes and our newly acquired skills. Leaning off the bike like Matt had advised seemed surprisingly natural after a while. I wouldn’t say that I was quite relaxed on the bike yet, but certainly making progress. 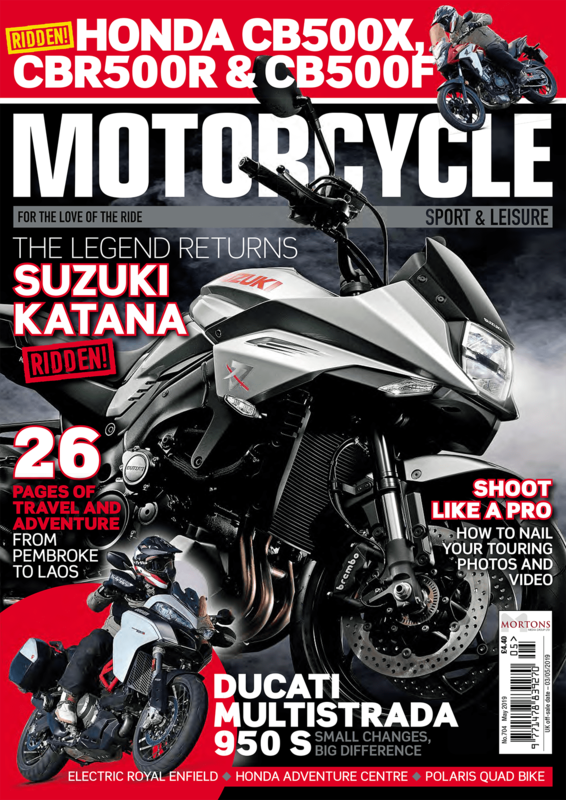 Previous Post:MSL November 2018 out now!